At 330 metres above sea level, Epiacum (Whitley Castle) is the highest stone-built Roman fort in Britain. It housed a garrison of about 600 men (480 infantry plus 128 cavalry) and was probably built to control mining for lead and silver. Although we have yet to discover evidence for Roman mining in the North Pennines, archaeologists agree that it must have taken place here. The Roman road known as the Maiden Way, which runs between the forts at Kirkby Thore, in the Eden Valley, and Carvoran (the Roman Army Museum), on Hadrian’s Wall, passes just down hill of Epiacum fort. Most Roman forts were rectangular in plan, but Epiacum’s trapezoidal (diamond or lozenge shaped) form follows the shape of the gently sloping knoll on which it is built. The fort defences consisted of a massive stone wall surrounded by earthen banks and ditches which survive today as some of the best preserved fort ramparts in the entire Roman Empire. Large stone towers stood at the corners of the fort. Access to the interior was restricted to four massive stone gateways, one in each side. Low foundations of buildings, including the headquarters building and barrack blocks, can still be seen on the ground within the fort. Many artefacts including altars, inscribed stones, coins, pottery and objects of lead, glass and jet have been found here over recent centuries. 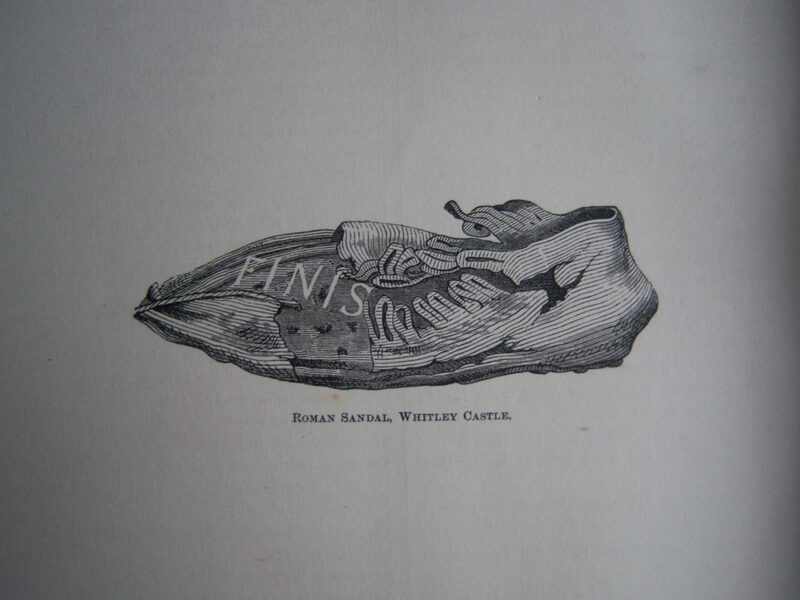 An excavation of the bath house, at the north-east corner of the fort, took place in 1809, and in 1825 a Roman rubbish tip was discovered from which several leather shoes were recovered along with a wooden comb, pottery and other objects. Some of this Roman rubbish was spread on local fields as manure, apparently to great effect! Pottery from a small excavation in the 1950s suggests that the fort was built at about the same time as Hadrian’s Wall, begun in the year 122. It was rebuilt on at least two occasions before apparently being abandoned in the later fourth century. Non-intrusive archaeological survey in 2009 has recorded the fort in great detail, along with the remains of a civilian settlement (‘vicus’) north and west of the fort ramparts. People living in the vicus would have supplied a range of services for the soldiers. At other forts remains of shops, brothels, pubs and workshops have been found. While the fort is the main focus of interest here, it is important to realise that it did not exist in isolation. 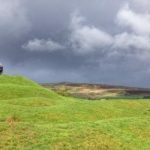 Recent survey work by English Heritage in the wider landscape of Alston Moor has discovered more than twenty Romano-British farmsteads with roundhouses, including two at Whitlow, only a few hundred metres south of the fort. These survive in today’s landscape as low, turf-covered earthworks, and are often first noticed through aerial survey. Some of them have just a couple of roundhouses, while others appear as little ‘villages’, with a dozen or more roundhouses. We think they were probably occupied by local farming families during the Roman period. Perhaps some were occupied by early ‘miner-farmers’, who worked in lead and silver mines for the Romans, as well as farming their fields. It is important to try and understand these sites better so that we can start to develop an understanding of the kind of society that existed here when the Romans arrived. I ve been visiting the Hadrian Wall last year, since then I have got a growing interest in the late antiquity. Is there any newer publication Known to you (and maybe in the Epiacum bookshop) that treats the mentioned period in Epiacum and/or a book on roman mining? Ive got my Hands on the Elkington Treatise, but this is from 1968 and only for Imperial Rome. Anything more up to date would be welcome. Thank you in advance! I am researching Roman Yorkshire in the 4th century for a new Historical novel, and have followed closely the Facebook page on this fort and the recent removal of the wall. Hi Peter – thanks for getting in touch. On our research page, under ‘Twenty First Century Research’ there is a link to the English Heritage report : ‘An Archaeological Investigation of the Whitley Castle Roman Fort and its Setting’. 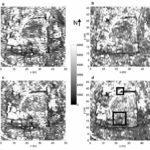 You can download it here:https://www.epiacumheritage.org/wp-content/uploads/2017/05/EH-report-investigation-into-Whitley-Castle-Roman-Fort.pdf It is quite long, but there is a list of illustrations near the start, which include the earlier remote sensing surveys. You might find the history pages of this website useful too – there’s some good stories here 🙂 We’d be interested to read your book when it’s done! Thanks for your question. 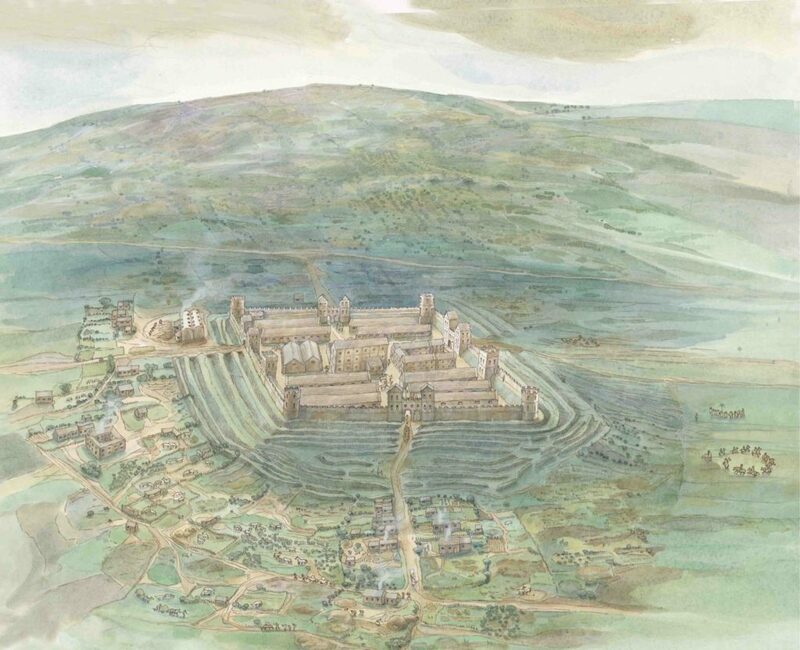 If you have a look at the English Heritage report https://www.epiacumheritage.org/wp-content/uploads/2017/05/EH-report-investigation-into-Whitley-Castle-Roman-Fort.pdf (p86 onwards) there is some discussion about the Roman mining evidence and some references which may help you. Best of luck with your research, and please let us know if you uncover anything new.